Silk Route in Sikkim has its own charm in all seasons. In this article let me talk about the weather and temperature along Silk Route in winter. Travelers have been asking me whether they should visit or not during winter and I have been replying the same that Silk Route can be visited any season. From October to mid-December, it doesn’t snow generally. During this time, the sky remains clear mostly but there can be fogs sometime and intense fog on some occasions. When there is no snow at all, the region get chilling breeze which is really freezing. I have faced the same weather during my visits to the region from Oct to mid-Dec. You must carry heavy woolen cloths to protect yourself and have a comfortable journey along the Silk Route. One doesn’t feel this chilling breeze until he reaches or crosses Zuluk. Till Padamchen the breeze is normal but beyond that place towards Gangtok till Tookla Valley, the breeze blows at high and makes travelers and tourist shiver from the same. If you are traveling during this season or period of time, make sure you carry proper woolen gloves, heavy jackets & wind cheaters, other cloths to cover your ears and face, etc. You must carry both upper-lower Thermocots to wear inside. Woolen socks and high shoes are good to wear. You can carry pieces of camphor with you and smell it when you feel vomiting and suffer from high altitude sickness. One can have rum or honey to feel comfortable in that extreme temperature. I usually have rum and carry with me but my wife likes to have 3-4 tea spoons of honey as she is a teetotaler. If want to have rum or any hard drink, make sure you buy that from Rongpo or Rongli. There is only 1 liquor shop at Lingtam along Silk Route and no more liquor shops along the route. When you reach Thambi View Point after Zuluk, there is a tea/coffee stall. Tourists stop here at Thambi View Point for a beautiful view of the Mt. 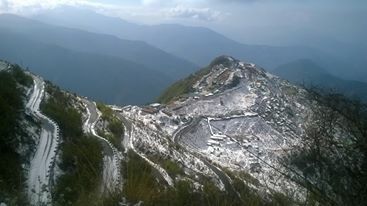 Kanchenjungha and the aerial view of the zig-zag roads. A cup of coffee with a couple of poached eggs is the best thing one can have in that chilling temperature. On reaching Old Baba Temple (Adi Baba Mandir) and the new Baba Temple, you will find Indian Army jawans distributing “Prasad” in the form of Sewaiyan Payesh (Simui) and hot tea which is just awesome. There are many medical camps in Army cantonments and camps. Army is always ready to provide immediate medical help to tourists in case they suffer from short of Oxygen or high altitude sickness. So there is no need to worry if you are scared of high altitudes and suffer from any issues. The trade between India and China through Nathula Pass remains open till early Nov or mid-Nov depending on weather. So if you plan to visit Silk Route in Sikkim till mid-November, do carry some extra cash. There is market place named Serathang along Silk Route where the Chinese and Tibetans arrive to do business and sale their products. Even Indian business persons staying at Sikkim bring Chinese goods to that place from the other part of the border. Woolen cloths, jackets and other Chinese goods remain available at low prices. I generally buy jackets and woolen cloths from there if I find the market open. Just to give you an idea, I must share that a jacket you find at Shoppers Stop or any reputed Mall in our cities costing Rs.2,500 or above, you will get the same thing within Rs.1000 in Serathang along Silk Route. 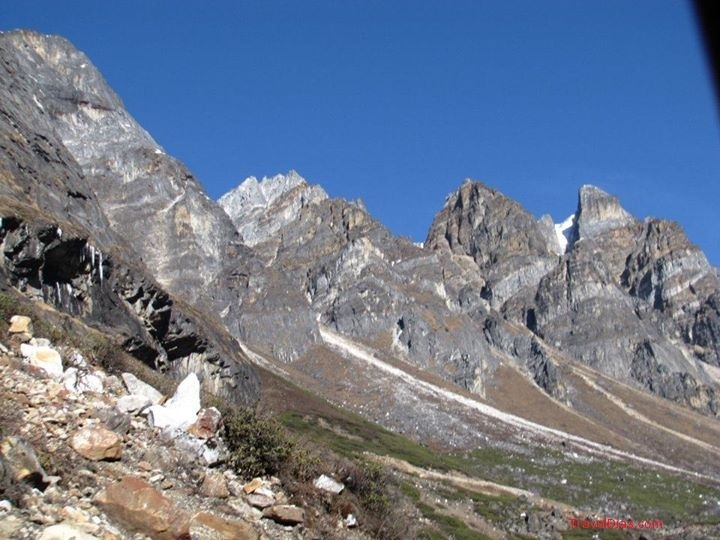 If you are planning to trip Silk Route during this period, you can stay at Padamchen or Zuluk or Nathang valley as the last points of stay along Silk Route toward Kupup and Gangtok. Nathang Valley and Zuluk are adjacent places, so you can stay overnight at any one of these two places. If you are traveling in the period from mid-December till early March, you will get heavy snowfall. It generally snows during this period of time. It doesn’t snow till Padamchen along Silk Route. So if you are planning to trip Silk Route during this period, you can stay at Padamchen and visit uphill toward Kupup to enjoy snow. I do the same thing when I visit during this period of time. If it snows heavily you will have to depend of the administration (police at Padamchen check-post) and wait for their permission to be allowed to move further uphill. They allow tourist till the point they feel safe. There had been occasions that I didn’t get snow even in the second week of January. So it all depends on weather. No one can predict nature. On 3-4 occasion I have seen that when it rained the previous night of my visit or sightseeing uphill along Silk Route, it snowed from Zuluk. So if you are staying at Padamchen or any other low altitude place and get rain, it can be considered that you would get snow from Zuluk along the Silk route. This are my personal experiences. One more important thing I have experienced or noticed is that there is no chilling and freezing breeze at high altitudes along Silk Route during this period when it snows. So from my experience I can say that you will not get freezing breeze if there snow along the route. I don’t even need gloves and that much of heavy garments when it snows. A jacket on full sleeve shirt or T-shirt with a pair of jeans was good enough though I would suggest you to carry proper heavy cloths. As I have already said in the above paragraph, I suggest you should to stop at Thambi View point, have a breathtaking view of the hills and peaks all around along with a cup of coffee/tea and couple of poached eggs. If you are planning to trip Silk Route during this period of time, I would suggest you to stay at Padamchen as last point of spending nights along the route. You can take a drive uphill for sightseeing along Silk Route till the reachable point and come back. If it is not snowing that much, one can stay at Zuluk or Nathang Valley. If you have a plan to visit Silk Route in Sikkim in winter, do give me a call or mail me at uvreachedavi@gmail.com for all details and further information if needed. I can surely help you out. Stay in touch and stay tuned to Travel Dias Blog and Facebook page http://www.facebook.com/TravelDias for more info on Silk Route in Sikkim. I am planning to visit Sikkim during the 2nd week of Feb. Was wondering if Gurudongmar lake, or lachen, nathu la etc will be accessible or closed from heavy snow? Unfortunately all places mentioned above will remain closed due to heavy snowfall. 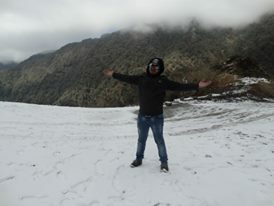 If you want to enjoy snow, you can explore east Sikkim along Silk Route. I am planning to visit bhutan in 1 st week of may. I have asked your advice for the same through my email to you dtd. 31.12.16. I came across your blog and found it very intersting hence i have convinced my fellow companions to cancel visit to Kolkatta on return from bhutan and plan for silk route instead. Can this be covered in 2 days 1 nite ? If no then what do you advice? Ideally we would be back in pheuntsoling on 11 or 12 may. Can this trip to silk route be done from pheuntsoling.Any short route which will save time and money ? Also suggest places to cover on this route and climate in may alongwith good reliable tour operator contact detals and hotels/homestays for 11 persons family. Silk Route can not be covered in just 1 night-2 days. It is better you visit Jaldapara Wildlife sanctuary in Dooars along with Bhutan. Hasimara is the gateway to Jaldapara forest which is close to Jaigaon. You can enjoy elephant safari and jeep safari in Jaldapara. 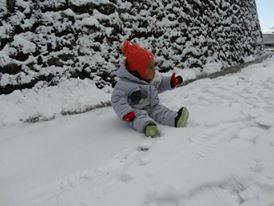 Hi,we r plning to visit silk route in mid december along with a kid of 6yrs.We want to enjoy snow as well as greener. Please suggest me the route and also the tour plan for that for arund 7-10 days. I am planning to travel to silk route in mid December 2017..we r 5 persons including my 58 year old father and 50 year old mother..we r staying one night at sillery gaon next night on zuluk next night on nathang valley and last night on Gangtok..I want to know 1) weather it will be safe to travel to silk route with my aged parents because of cold?? ?2) what is the temperature at that time?..3) whether I will get snow at changu lake or not??? December would be too cold. The wind/breeze would freeze you at Nathang Valley. As you are going with you aged parents, yo can avoid staying and spending nights at Nathang Valley. In December the weather is not favorable. You can instead spend nights at lower altitude places like Padamchen, Mankhim, etc. I would suggest you to stay 1 night at Reshikhola/Ichey Gaon, 2nd night at Mankhim, 3rd night at Padamchen and 4th night at Gangtok. You can skip staying at Zuluk and Nathang. Yes, ti is safe traveling during winter. The feeling and view is different. I love the chilling weather. There are high chances of getting snow all along the Silk Route. It generally snows from Zuluk along Silk Route till Tsomgo Lake on way to Gangtok. I am suggesting to skip staying at Nathang during wineter because if it snows too heavy and the road is blocked, you can take another way via Rongli and Rongpo to reach Gangtok. You can mail me for more details. It would be within 5 during day and may go down to minus during nights. Hello Abhijit. We are planning to visit silk route on December 21st to 25th. Is it safe to visit there on that time. Will the roads be open? We are planning to avail the packages of “Sikkim Silk Route”. Will this be benefit able ? Please suggest. No need to go with packages. You can surely make it on your own. Yes, you surely visit there in December. No issues at all though the whole Silk Route may not be accessible. Guess we had a talk over phone. Is it advisable to visit silk route at the end of January?? Will silk route be closed then? The stretch between Tsomgo Lake and Zuluk may remain closed. Generally it snows heavily during the period between January and early weeks of March. You can surely visit Silk Route but the whole stretch would not be accessible. You can directly visit via Rongli (for permissions). I can’t suggest any tour plan unless you share tentative number of nights you would have in hand. Share your number of nights (excluding journey), I would suggest a tour plan or itinerary. You need at least 4 nights there to enjoy the beauty of Silk Route. You can directly visit from NJP/Siliguri/Bagdogra and get your permits done from Rongli check post. As it is January, I would suggest you to stay 1 night at Reshikhola or Ichey Gaon, 1 night at Mankhim and 2 nights at Padamchen. me & my wife (both sr citizen) shall be at sikkim during 3rd to 10th march’18. We like to travel through silk route during that period. keeping finger crossed but then like to hear from you. any suggestion pl. We are going to Sikkim Silk route on 12th Dec and return is on 17th. We are 4 adults and 3 children. Is it safe for the children that time? Please also suggest a good travel plan. Sir, I am going to silk route by 24th December 2017. Can you please guide me or give me the idea about the weathe. I what to know if all the roads will be rAccessable or not ? We are going 8 person along with my parents. I will stay 1 night ichhegaon, 1 phadamchen, 1 zuluk and 1 night at Airtar. Even I will be riding to silk route via Gangtok from jan 2, is it accessible by bike? Are the roads blocked in this route? As it is my Dream to ride along the Silk route in snow. I am planning a trip to silk route from jan 27 to feb 1. Is it possible? If so kindly suggest an itenerary. 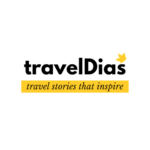 It is great to see the immense information from this travel blog.. great work.. I and my friend want to make a bike trip via silk route ie zuluk ..nathang valley..to changu lake..to gangtok on 21 st jan. please. inform us that wil the road from zuluk be accessable or blocked due to snowfall. if roads get blocked is there and other route to go to gangtok. where can we stay on the silk route to gangtok..plz share the places to visit on the silk route. thank you. Thank you for your nice posts in your blog. I am also a travel addict. We have visited Sikkim many a time but not this eastern region specially silk route. as you have mentioned in a post that planning can be done for silk route without any tour operator’s help, can you please suggest me on booking procedure of accommodation and car and guide who will not let us miss any possible beauty of this region. We will have 5-7 nights in late march. I m planning to visit silk route in between 28th may to 31st may.is it better time to visit? Hello! Let me convey my sincere apologies for not responding earlier. Wish I could help you with details for your Silk Route Sikkim tour plan. I am planning for a tour from Siliguri to Zuluk – Silk route – then Gangtok via Nathula, Chhangu. Next part from Gangtok to Lachen, Gurudongmar and back. I need your suggestion whether the whole route is accessible if I plan the trip during 2nd or 3rd week of November? Want to visit ….december last week….snow? Silk roure open at this time? Hello! Let me convey my sincere apologies for not responding earlier. Wish I could help you with details for your Sikkim Silk Route tour plan. we are planning to go Silk route on ( 4 n / 5 days) 1st week of March ,2019 along with 2 years son ,is it advisable to go that time ?? I am planning to visit Silk route between 22nd to 26th Dec, 2018. I will be travelling with my wife and two children aged 8 yrs and 11 yrs. Can you please help me with the ideal location for staying at that period. Is it advisable to stay at Nathan valley at that time? Unfortunately I couldn’t respond earlier and help you with all details on Silk Route in Sikkim. As your travel dates are from 22nd Dec, I think you have already planned. Let me know if you are still looking for any info. I would love to help you. You can write back to me through email or call me on 9831540384. Hello sir, We are planning for a trip in between 22nd Dec to 26 th Dec,2018. We are reaching Njp in the morning and we are planning to start our journey by 9-10 a.m. we are 8 young persons group(24-28 yrs). We have planned to reach Nathang vally on 22nd and stay there till 24th morning.Then on 24th we planned to go-to Zuluk and stay there till 26th. On 26th we will travel back to NJP. My query is how will be the weather on December on both the places and can you suggest me any good homestay there in Nathang and also what will the temperature there? Do we need to change our plan – What is your suggestions? Will it be okay to reach direct Nathang valley from NJP on the first go? My sincere apologies that I couldn’t respond earlier. Wish I could. I was actually travelling all throughout. I see that your Silk Route travel dates are 22nd to 26th Dec. Let me know if you are still looking for any information or guidance about your trip to Silk Royre. I would gladly help you. You can write back to me through email or call me anytime on 9831540384. Hi Abhijit, this is Samrat here. We are planning to visit silk route in Mid March. I have a 3 year old daughter, and my friend has got a 2 year old. So will that be a best time? Hello Samrat! Thank you for reaching out to me. 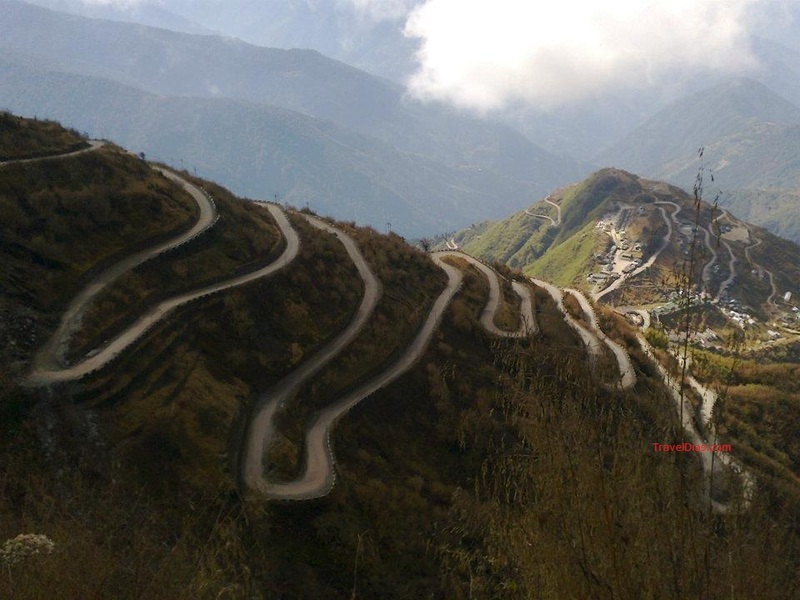 Though March is not the best time to visit Silk Route in Sikkim but you can surely visit. As you are having small kids, I would suggest you to avoid staying overnights at high altitude places. It will be too cold out there during March. If you want to discuss in detail, write back to me through email or call me on 9831540384. Firstly an excellent blog. Really appreciate your efforts in guiding people. I always wanted to visit Sikim, and your post provides me valuable information. Need small help, have a couple of questions. If you could help me with the same i will be greatful. 1) Have got 8 nights in hand and travelling from Mumbai, is it possible to cover sikkim in these many days. 2) Traveling with my wife, is it best time to be there in may between 20th to 31st May. 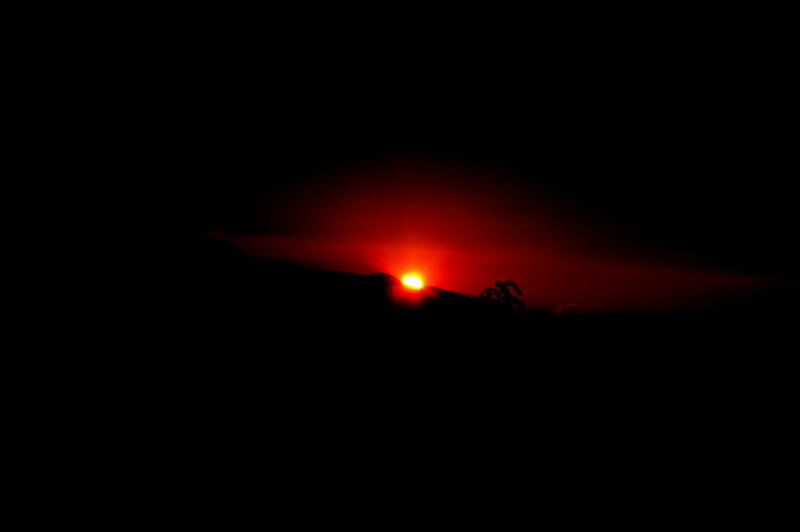 3) I want to cover best and essentials of Sikkim, are 8 nights enough. 4) Can you help me what all should i cover, in my holidays. 5) Finally should i plan my entire itinerary and not book through various travel agents avbl in marker. Happy to e-connect with you. Thank you for reaching out to me and your kind words. May is a very good time to visit Sikkim. It is the one of the peak seasons out there so prices would be quite high. 8 nights – 9 days are not enough to cover most of Sikkim but you can cover many places of interest. I can surely help you with planning the itinerary after you confirm your dates. There is no need to book through separate agents or operators, instead you can boom through any one persons. This would be good if you can book all your stays from the same point of contact or you can also book your stay separately if you need. The call is yours. I can surely connect you to my contacts/hotels I stay at. Sikkim is not the place for self drive. There are restricted places, you will not be allowed to drive and additionally, the roads are not fit for city drivers. The roads are narrow, with sharp bends and turns. The high altitude makes more risky. So its better you hire a car in Sikkim. 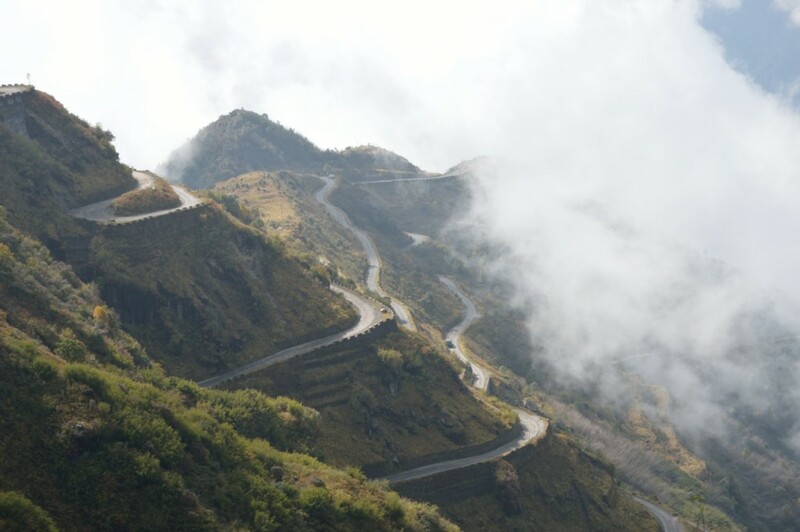 You can travel to Silk Route in Sikkim without hiring a car. You need inner line permit to visit Silk Route.